This late summer evening in the Cinematic Cities series savours the quieter pace of cities after dark, and the unique friendships and romances that can be found in the hours when most have gone to sleep. Paired with Before Sunrise is the Toronto-set comedy short Night Owl, directed by Rebekah Miskin & Gillian Müller and celebrating its Canadian Premiere at Christie Pits Film Festival on August 12th. 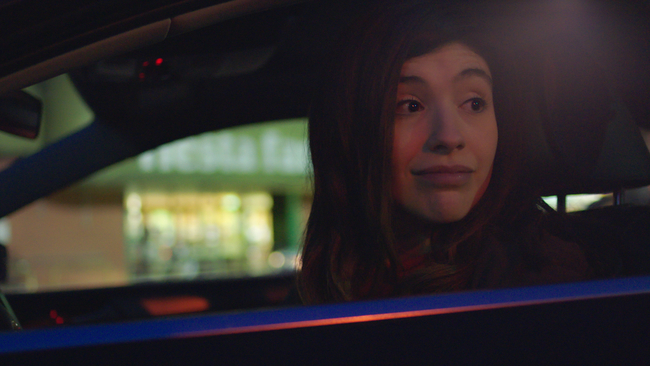 Part of the acclaimed web series of the same name, it takes us on a grocery run with an insomniac woman who wanders aimlessly in a fictional 24-hour Fiesta Farms in search of friendly faces. Also screening is The Foreigner, directed by Maya Annik Bedward and set in the Christie Pits neighbourhood, it follows an outsider looking for community and a sense of belonging, isolated in the darkness of the city. He stumbles upon an underground Brazilian dance party that, despite the language barrier, welcomes him with open arms. Christie Pits Film Festival is the signature project of Toronto Outdoor Picture Show (TOPS), which presents its Cinematic Cities programme all summer long at parks across the city. TOPS: This year's film programme is titled Cinematic Cities, a theme that draws bridges between vibrant and complex cities around the world while highlighting the people who make each of these cities unique. Do you have a favourite movie that captures the spirit of a city? Maya Annik Bedward (MAB): I love films that treat a city like a character in their story. I think 24 Hour Party People did this in such a great way. It's actually one of the reasons I moved to Northern England in my early 20s. I think it accurately captures Manchester as a beautifully gritty city filled with larger than life characters that make up its historic music scene. Rebekah Miskin (RM): I always have a tough time picking favourites... But Charles Officer recently directed a documentary film called Unarmed Verses. 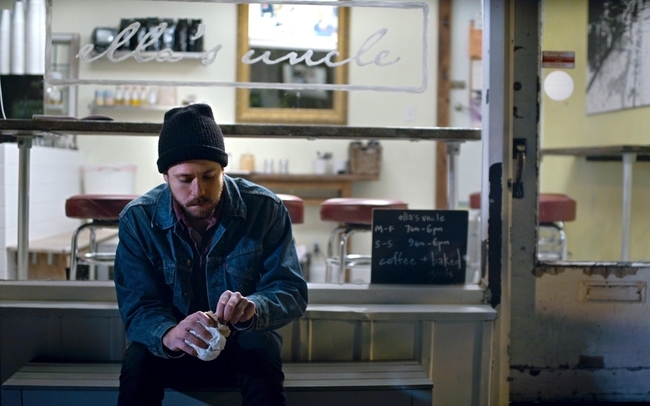 I think this film captures the spirit of Toronto in a way that truly encompasses this city's spirit. TOPS: We loved Charles Officer’s Unarmed Verses too - it’s screening as part of our Cinematic Cities programme at Parkway Forest Park on August 16th! Is there a city that you dream of capturing on camera? MAB: Kingston, JA. It's where my family comes from. It's also the birthplace of reggae! This small little city of just over half a million had a huge impact on the world. Everyone knows about it, but few understand the strong force of culture that permeates its neighbourhoods. I'd love to show that on screen. TOPS: For you, what makes Toronto a cinematic city? Is there something special about Toronto that you draw inspiration from? MAB: I don't think Toronto is visually cinematic like Rio, Paris, New York or Tokyo, but it has so many hidden cultural gems. From old warehouses to back door music venues, there are a lot of great spaces that make this city unique. Unfortunately, many of these spaces are disappearing thanks to gentrification. My next narrative film explores the ephemeral quality this unbridled development is bringing to the city. RM: Above all, there's no denying that what makes Toronto a particularly cinematic city for me, is that it's my hometown. Having grown up here, I feel like there are so many things and places that have special significance to me, for no real reason beyond the memories I have that are forever tethered to specific locations, places or spaces... but maybe that's what “the movies” are all about, in a sense. Capturing a specific experience on film can turn a seemingly innocuous location, space or place into one that is rife with meaning, symbolism and emotion; which makes any setting cinematic... doesn't it? TOPS: Both your films, like Richard Linklater's Before Sunrise, beautifully depict characters who unite and forge friendships while discovering the city in the middle of the night. What do you think of this pairing? What is it about the middle of the night that makes city adventures so special? RM: We're huge Richard Linklater fans so we couldn't be more honoured to screen Night Owl in any kind of proximity to one of his films. And yes, there's something about the middle of the night that breaks down barriers between people a little faster than usual. There's almost an automatic intimacy that goes along with being one of the few awake in the wee hours of the night. I'm not sure, being up at a time that most people are asleep begs the question, why? It comes along with a certain level of intrigue. I don't know exactly what it is, it might just be intriguing for me because I've never been the greatest sleeper... at least not at night. Haha! MAB: I love this pairing. I watched Before Sunrise a lot when I was a teenager. Partly because Julie and Ethan are babes, but also because I was a kid stuck in the suburbs with a huge sense of wanderlust. Since then, I've learned that cities - like the moon - shine differently in the middle of the night. Often this is when the magic happens. Night Owl and The Foreigner screen with Before Sunrise on August 12th at Christie Pits Film Festival.